On Thursday, November 2, women at Calvary Women’s Services attended the first Roseann Finigan Meisburg Annual Health Fair. Created in honor of Roseann Finigan Meisburg, the fair offered a day of health education and empowerment for women. 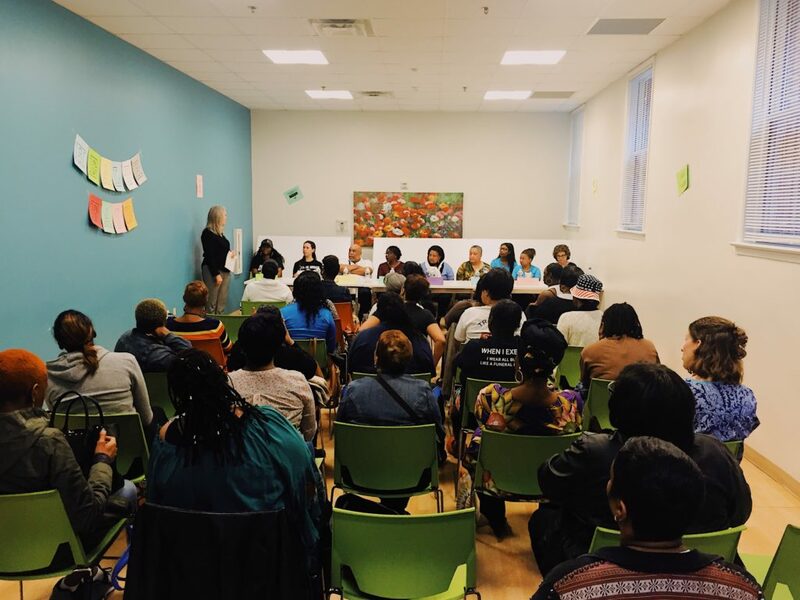 Through a series of presentations and information booths, women learned how they can manage the challenges they may be facing, and how they can be proactive in building and maintaining good health. The Roseann Finigan Meisburg Annual Health Fair complements Calvary’s year-round commitment to supporting women as they build and maintain their health. Coupled with ongoing health programs, which include on-site education, individual and group therapy, a substance addiction recovery group, and personal support from case managers, women find the tools they need to work towards their goals for good health and independence. 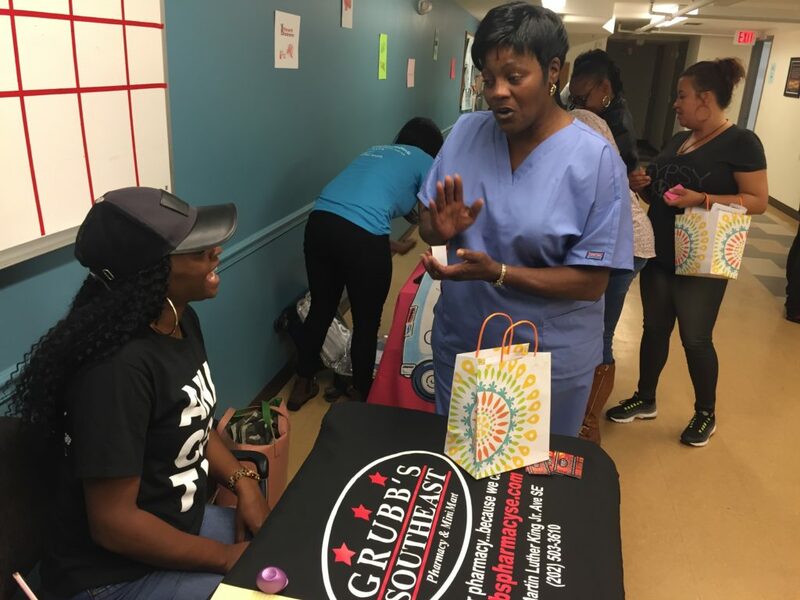 This year’s health fair featured presentations from Grubbs Pharmacy, Whitman Walker Clinic, United Medical Center, Capital Breast Care Center, Community Connections, and the DC Department of Behavioral Health. Attendees also heard presentations from Calvary’s own health team, including both a therapist and a licensed nurse practitioner. Special thanks to the Roseann Finigan Meisburg Foundation, a long-time supporter of Calvary Women’s Services. This health fair is in honor of Roseann Finigan Meisburg and her legacy of dedication to women’s health in the Washington, DC community.